Rosemary Jackson is in full-time practice as a Mediator and Conciliator. This follows a successful practice at the Construction Bar from 1983, when she joined Keating Chambers as the first female specialist building counsel at the English Bar, until October 2014. Up to January 2018, Rosemary also accepted appointments as an Adjudicator and Arbitrator. Rosemary was appointed as Queen’s Counsel in 2006. Rosemary received the Clare Edwards Award for professional excellence and contribution to the legal profession serving the construction industry in 2018. The award, which is sponsored by TECSA and the Contractor’s Legal Group is awarded when an exceptional candidate is identified. ‘Exceptional in fulfilling the role of mediator,’ Rosemary Jackson is ‘very insightful, automatically commands respect, and is very committed to making effective use of the time parties devote to mediation in order to get a settlement’ (Legal 500). Rosemary has been an accredited mediator since 2001 and has built up a first class reputation as the ‘ideal facilitator’, a personable and user-friendly mediator of domestic and international commercial disputes of all types. She draws praise for her ‘gravitas’ and ‘shuttle diplomacy in difficult circumstances (Chambers & Partners 2017). She is featured as a Leading Silk for construction mediations by Legal 500, 2017 and listed in Band 1 (Mediation) by Chambers and Partners UK and UK Bar Guides 2018, having been ranked as a mediator since 2010. Rosemary is recognised in the Legal 500 Hall of Fame for mediators. She is consistently listed as one of the world’s leading construction mediators in Who’s Who Legal: Construction, and as a Global Elite Thought Leader in Who’s Who Legal: Mediation 2018. Her background in construction litigation, combined with good preparation, enables her to identify the issues incisively. This enables her to reality-test the parties’ cases and assist them in evaluating their strengths and weaknesses. Rosemary’s approach is adaptable, and she is able to deploy a blend of facilitation and evaluation to suit the particular mediation. Where invited (and if appropriate) she is willing to assist the parties by making evaluations, recommendations or post-mediation assessments. Rosemary’s approach is highly commercial. She has mediated and co-mediated disputes up to £2bn and between up to 10 parties. Many complex or multi-party mediations benefit from Rosemary’s ability to case-manage the dispute and participate in a structured mediation process over a number of months. Feedback shows that Rosemary is much appreciated for her calmness and patience but also her tenacity. She understands that parties sometimes need time and patience to make the necessary move to clinch a deal but also that there are times when firm handling is needed to help them bridge the seemingly unbridgeable final gap. She is excellent at injecting a little humour when necessary, to relieve the tension. She is also mindful that it must be the right deal for the parties, and not one which they feel bullied into. Independent Chair of Euston and Camden Community Group engagement meetings in relation to HS2. 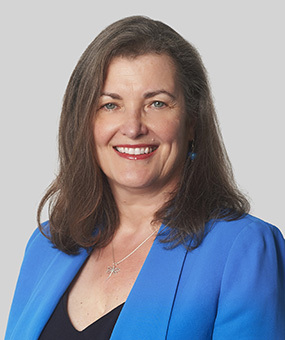 Whilst in practice at the Bar, Rosemary Jackson specialised in the field of construction, engineering, energy, professional negligence and commercial/contract law, including advice and advocacy in relation to litigation and arbitration, adjudication and mediation, and contract drafting. She appeared as an advocate in Courts at all levels and before a wide range of adjudicators and arbitrators, as well as in appeals or challenges against arbitration decisions. She represented local authorities, the Treasury Solicitor, contractors, sub-contractors, developers, property owners and purchasers, and professionals, including architects, engineers and surveyors. She gained considerable experience of advisory work and litigation arising out of party wall matters. As well as successfully representing many clients in arbitrations and adjudications, Rosemary has acted as an arbitrator and is very experienced in acting as an adjudicator. She was a member of the CEDR and TECBAR Construction Adjudication Panels and has adjudicated disputes in relation to power, railway, motorway infrastructure projects and construction disputes. She was appointed by the Chairman of the Bar to sit on a Joint Tribunal to determine a fees dispute between solicitors and counsel. Rosemary was consistently ranked in Legal Experts, Legal 500 and Chambers and Partners for Construction Law. Multi-party dispute concerning follow-on claims for damages consequent upon OFT finding of abuse of dominant position. Claim for misrepresentation and breach of warranty in relation to due diligence processes for Sale and Purchase Agreement. Breach of copyright claim in relation to housing development. Breach of confidentiality claim in relation to introduction to a land purchase opportunity. Dispute concerning alleged shortfall in throughput achieved by design and supply of a dry batching mixing and blending systems for foodstuffs. Dispute concerning liability for fines imposed by the European Court for anti-competitive (cartel) practices. Disputed success fee on settlement of major insurance litigation. Dispute related to validity of market research data. Conducted a conciliation over 6 weeks in relation to the termination of a prestigious civic regeneration project. Conducted ICE conciliation in respect of adverse physical conditions encountered during demolition works. Several disputes up to 6 parties and £160m arising from settlement of concrete slabs/piles in industrial premises. £2bn dispute relating to a complex infrastructure project. Disputes relating to heave and environmental damage to waterways and SSSIs as a result of using steel slag fill. Delay and disruption claims – JCT, NEC and bespoke contracts. Alleged design and construction defects in curtain-walling, overcladding, thermal insulation, roofs, air-conditioning, windows, kitchen equipment, acoustics, drainage. Non-compliance with conditions of planning permission. Payment dispute under Term Contracts pursuant to Framework Agreement. Dispute concerning responsibility for spread of fire through newly built premises. reactor – compensation events (NEC3). Subsea pipeline trenching and backfilling dispute – site investigation information. Dispute relating to cathodic protection to undersea oil pipeline. Delays and compensation claims (NEC), final account disputes (FIDIC, FCEC). Design of dehumidification and air-conditioning plant, ventilation and smoke/fire safety systems. Alleged negligence in carrying out non-destructive survey to locate underground features, interpretation of standard terms and conditions. Disputed responsibility for defects in lift installation in a school. Disputes relating to ground engineering, site investigations, anchor piling works, combo-piles and diaphragm walls. Dispute relating to scope of design requirement in project management of the M & E works in a design and build contract for a military field hospital. Dispute relating to performance of baggage handling/security screening equipment. disused quarry to landfill site. Facilitated a 3-party commercial settlement meeting under an NHS PFI contract. Facilitated at 3 day workshop for Greek Cypriot and Turkish Cypriot business leaders, politicians and leaders of civic society promoted by Engi and UNDP under the Participatory Peacemaking Project for Cyprus. Appointed July 2016 as Independent Chair of Euston and Camden Community Group engagement meetings in reltion to HS2. Dispute concerning construction of Professional Indemnity policy and extent of cover. Claim by contractor against Professional Indemnity insurers for indemnity against sums paid to employer in respect of alleged negligence in design of conversion of derelict institutional building–sub-floor ventilation. Claim by buildings insurer against surveyor in respect of excessive rebuilding costs due to negligent design and contract administration. Dispute concerning the consequences of a piling rig overturning. Disputes up to 5 days’ duration relating to projects in Afghanistan, Azerbaijan, Cayman, Denmark, Egypt, Georgia, India, Jordan, Libya, Madagascar, Qatar, Rwanda, Saudi Arabia, South Africa, West Indies. award, quantum of compensation, ancillary issues. Facilitated legal workshop in relation to a dispute arising out of cancellation of a PFI project. Disputed sub-contract formation for mechanical and electrical works (PFI). Dispute concerning calculation of contribution payable towards Unitary Service Charge (USC) under a PFI project. Evaluation and mediation of a dispute concerning alleged design defects in a PFI hospital redevelopment. Dispute concerning defects in BSF PFI Schools construction. Alleged defects in design and construction of sequencing batch reactor. Disputed variations in sub-contract for supply and installation of chemical dosing rig. Disputed final account for construction of desalination plant. Alleged defects in water evaporation and ph correction plant for volume reduction of hazardous waste water. Dispute concerning termination of a contract for installation of a biofuels plant. Dispute concerning Microbially Induced Corrosion (MIC) due to SRB in condenser. Alleged negligence in provision of COMAH report. Disputes relating to performance of anaerobic digesters. Allegedly negligent performance of architects, engineers and quantity surveyors’ duties. Solicitor’s negligence – failure to issue proceedings in time. Solicitor’s negligence – drafting of settlement documentation in divorce proceedings. Solicitor’s negligence in conduct of TOLATA proceedings. Alleged negligence by architects in advising prospective developer prior to land purchase. Alleged negligence by architects providing design services to design and build contractor – delay and alleged defects. Alleged negligence and breach of contract in carrying out asbestos surveys and COMAH reports. Alleged negligence by Party Wall surveyors and engineers. Alleged negligence by funder’s monitoring surveyors. Claim for increased costs under contract for disposal of contaminated spoil from civil engineering works to improve underground railways – hazardous and non-hazardous waste. Claim for damage to railway infrastructure due to water run-off from adjacent quarry. £200m dispute in respect of compensation events and other issues in relation to a major railway infrastructure project. Dispute re water damage to properties under construction, allegedly due to escape of water during mains diversion, or from leaking. Alleged defects in design and build of sewage treatment works – dosing and odour control. Sewer collapse – effect of pre-existing condition of sewer and/or overlying spoil heaps. Subsidence after alleged blockage of surface water drain. Damage to, and blockage of, deep sewer after compression grouting – dynamic probing, protection of buried services – construction of contract. Responsibility for supply and payment of water supplies to industrial estates, method of charging. Design and construction of plant producing polished water. Disputes relating to compensation events in installation of pump shafts and water mains under NEC3 form of contract. “As you know, we work with many mediators from all around the world, but your responsiveness, attention to detail, care and follow-ups were just outstanding”. has a fantastic reputation and it is well deserved. Both I and my clients will definitely instruct Rosemary in the future”. “Thank you for working such miracles yesterday.”. “ I don’t think I’ve been in a mediation before where the mediator added so much value. So “well done”. “You possess some special qualities which make the process of mediation calm with down to earth humanity, and I thank you very much for this. Whilst the whole litigation process has been a very wearing one for me I can honestly say you helped me with focusing on the issues to consider. At long last I feel the burden on [us] is now released so that we can get on with our lives”. you should put it into one of your “settled the unsettlable” case studies. You really were very good indeed. Excellent level of preparation. [My lay and professional clients] were enormously impressed by the depth of knowledge, your familiarity with the various reports, but also that you had a proper understanding of the overall picture of the case. Your delivery of the [requested] evaluation was also very impressive. You exuded an air of such complete confidence in yourself, your knowledge, your expertise and the process that it all seemed very easy. As regards sensitivity to commercial issues, this was brilliantly done – [the clients’] confidence and trust in you were cemented by your approach, and they really felt that you had understood their position”. “You kept going when I’m pretty sure both parties had given up and for that I am eternally grateful. You managed to resolve a situation in 6 hours that had been going for 20 months which is a testament both to the mediation process and your expertise. Without your help I would no doubt have been bankrupted by the cost of the litigation process and would have had to have gone through another year or two of legal hell. Thank You doesn’t seem to be enough”. “Rosemary – you were brilliant. Really, really appreciated your approach and input. I have done about 40+ and you were way up there as absolutely “magic”. [The client] liked/respected you and that was the clincher”. “The first pick for mediation and construction disputes in the UK” and “one of the top mediators around – in any sector”. “Undeniably the number-one construction mediator at the whole construction Bar”. "A relaxed and personable style, but with a wealth of experience behind her which makes parties pay attention." Regarded as a "super mediator" by peers who highlight her "diligence, intellect and charm." "She is clear and effective at defusing any emotion from the parties that might create a barrier to settlement." "Rosemary is clearly at the top of her game but is also down-to-earth in her style and approach to the parties." "A dogged and determined mediator who combines great charm and powers of persuasion." "A very good mediator" who is regarded as "excellent in the construction field." Rosemary’s interests include international conflict resolution. In 2012 she was a member of the OSCE monitoring team for the Armenian Presidential elections. In 2013 she was one of 3 facilitators of a 3-day peace-making workshop for Cyprus, sponsored by the United Nations Development Programme.